Emerald green is the Pantone 2013 color of the year. That’s the spoken lingo for those in the arts, design, fashion and photography. Skilled observers took notes during September’s New York Fashion Week. How these designers embraced color into their new fashion lines dictated what made the final cut. My favorite is a dreamy sky “placid blue” that looks great with a “dazzling blue,” lavender and “hemlock” green pastels. That wow factor comes from accent colors. Think canary yellows, bold tangerines and “cayenne” in spicy red-oranges. Guys and gals in the JA community love their black! First off, it’s slimming! Maybe we even look taller? Dirt be gone, pardon any pet fur. It’s the go-to color to match everything in our closets. To see a spectrum of color usage on the fashion runway, check out Vera Wang on the New York Fashion Week website. This insightful designer captures black and makes it dance! Wang is a master of asymmetry and translucency with color, design and textiles. An artsy kid’s board book, “Pantone: Colors,” makes a super gift! It’ll be added to my granddaughter’s bookshelf to introduce her to the nine basic colors. For page orange, an impish goldfish captivates, plus there’s a cluster of orange boxes with orange words — carrot, tangerine, melon, basketball. On Saturday, get up bright and early! From 7 a.m., stop by for an aloha pancake breakfast at the Southeast Japanese School and Community Center in Norwalk. Enjoy the holiday shopping experience from 8 a.m. at the center’s annual boutique. With list and/or phone app in hand, check off names and buy! See eye-catching fabric kanzashi flower hair clips and bracelets, origami ornaments and washi paper cranes in tiny bottles from Wendy’s Origami. A former art director and print production manager in the world of publishing, Wendy Lee’s background speaks volumes for her creative talents as a full-time crafter. As a youngster, being on the receiving end of her origami gifts was the elite spot to be in. But she found that paper has a downside. It eventually rips, gets crushed and tossed out. 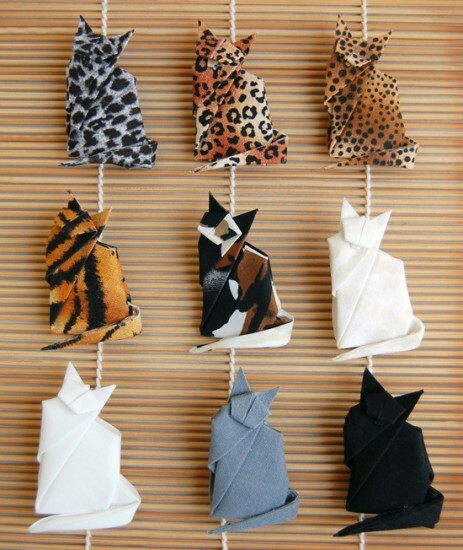 A few years ago as a YouTube newbie, she discovered how to starch fabrics for origami. “I was hooked,” Lee said, “and started making flower balls for Christmas ornaments, T-shirt pins, baby booty shower favors and fortune cookies. Her focus switched to kanzashi floral hair ornaments and pins. In Japan, geisha have worn them since the 1600s. Today’s crafters have simplified an old technique of shaping petals using various fabrics with rice starch. 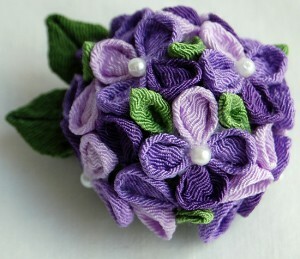 Go to Clover to see kanzashi orchid and daisy flower makers, great for beginners. With a top-notch line of products for embroidery, crocheting and sewing, you can even learn how to make artisan knots, basket frames and bias tape. Next destination: Little Tokyo. Kokoro Craft Boutique opens the doors to the Japanese American National Museum for more serious shopping. 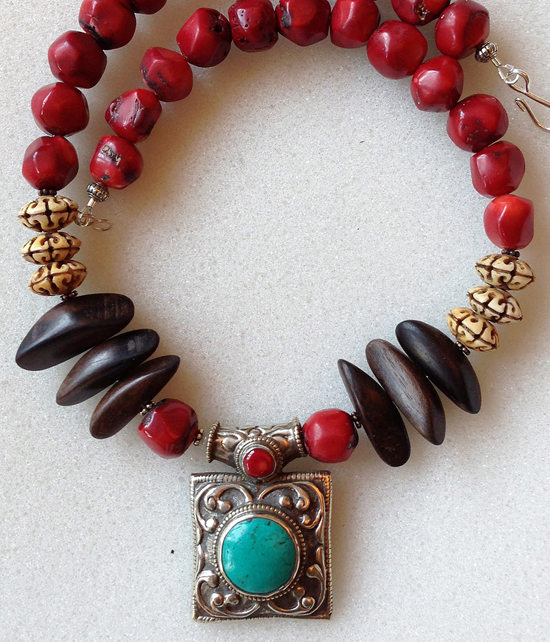 With over 45 artisans on hand, a portion of the sales will benefit the museum’s educational programs. Make a minimum $10 boutique purchase to gain free admission to museum exhibits. Check out Adrienne Lee of Color Conscious: Diversity in Design. “I’m Hapa, so I’m naturally drawn to cross-cultural mixing and diverse pairings … and bold or unusual combinations of color and pattern,” she said. This gal marches to her own beat. She made her first baby quilt with an upbeat Balinese batik fabric. Once shared in her workplace, quilt orders came pouring in and continue to do so. Purses and totes followed. 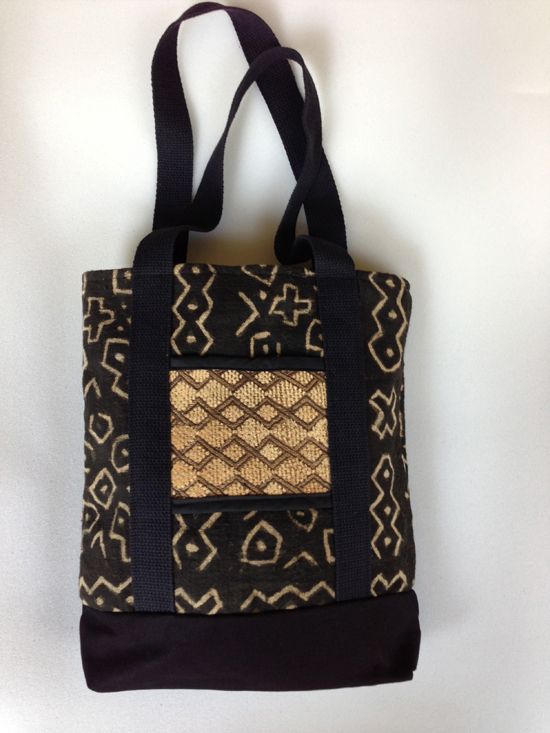 Made from similar batiks and other world fabrics from Thailand, Guatemala, Africa and Panama, they appealed to shoppers looking for smaller gifts. A natural spiral lead to jewelry-making using beads collected from all over the world, or from friends who bring treasures back from their travels. They sold like hotcakes! Studying jewelry-making on a full-time basis is next on her list, though in retirement. At one point, her percussionist husband requested a djembe hat, a protective drum cover for his West African drum. Guess what? Orders came from all over the world, as far away as Tasmania and the Netherlands. These elements of surprise keep her on her toes. Artwork, fabrics and artifacts of cultures worldwide inspire and also define who she is as a museum educator and arts education consultant. Final stop: San Leandro. Head over to the Eden Holiday Craft Show at the Marina Community Center.